It’s no secret that I have a bit of a sweet tooth. A whole mouth full of them actually. But given everything we know about refined sugar and the effects it can have on the body (immune system suppression, tooth decay, unstable moods, ageing skin, weight gain to name just a few) I try not to eat too much of the stuff. Emphasis on the too much – no point pretending I’m perfect. It’s important for me to have an alternative on hand for when the cravings hit me (which they inevitably do). 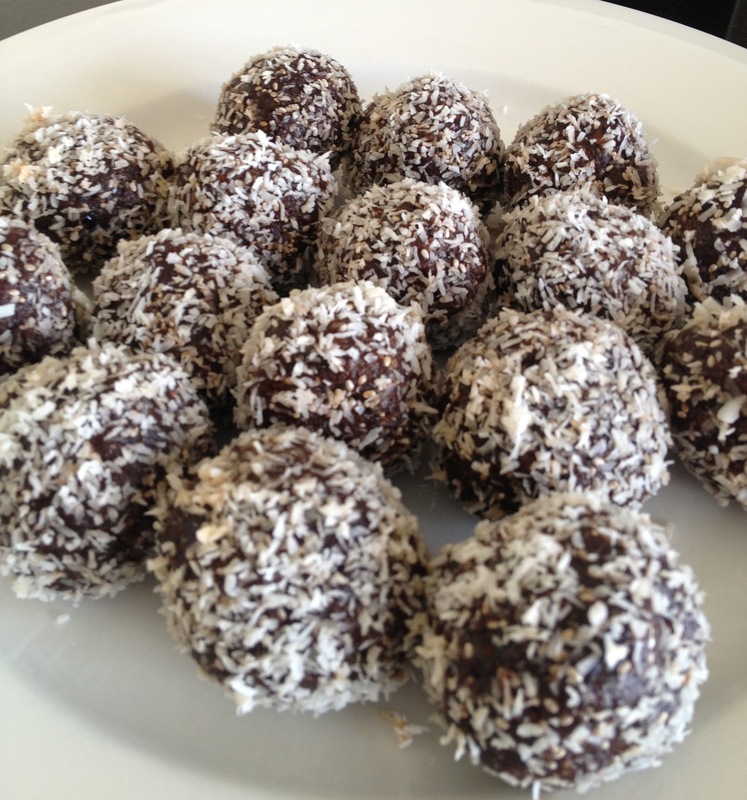 I originally discovered ‘bliss balls’ via Melissa Ambrosini’s Path to Wellness website. My first attempt was an absolute disaster… somehow I managed to triple the cacao measurement and the result was a little ahhhhm, let’s go with inedible. Since then I seem to have gotten the hang of things though, and I’ve played around with the original recipe so it suits my tastebuds perfectly. Hopefully it suits yours too! * I used 1/3 cup of coconut oil but found the mixture a bit wet and had to squeeze some of the moisture out as I rolled the balls (although this could also be attributed to the fact that I was in a bit of a rush and didn’t drain the dates properly). I would suggest starting with ¼ cup and adding more only if necessary. Popping one of these little bad boys can seriously carry me through an afternoon without wanting to dive for the nearest bag of sweets. All you need is 15 minutes and you’ll be set for the next fortnight – I highly recommend you give them a whirl ASAP! p.s Right now there’s a real trend towards using organic ingredients, activated nuts and the like when you’re cooking (or not cooking, as is the case above). While I don’t argue that these ingredients can be incredibly beneficial to the human body, I think it’s important to keep things real. If you can’t get access to activated nuts, regular nuts are just fine. If organic ingredients are outside of your budget, regular ingredients will be perfect. Never feel that you’re ‘failing’ at this health thing if your almonds lay dormant — you’re doing the best you can, and that is enough! I hope you love them! I’ve just read a couple of your posts – looks like we have a pretty similar philosophy when it comes to food so fingers crossed! Do you pre soak your seeds?